Windows 10 Mobile may have been dead for quite some time now, but fans continue to hope that the Windows maker would eventually get back to working on a mobile operating system. However, things are getting a little more hopeless. If you have been looking forward to see Windows 10 Mobile Insider Preview builds coming your way, Microsoft has confirmed that there will be no more Preview builds for Windows 10 Mobile Fast or Slow ring Insiders. Microsoft’s Brandon LeBlanc made this announcement in a response to a tweet [yep, not even a proper announcement…]. If you still own a mobile device from Microsoft, Windows 10 Mobile phones will continue to receive security updates from the company every month. However, nothing more should be expected from the Redmond software maker when it comes to Windows 10 Mobile development. While the company had previously suggested that the Preview builds will continue and many fans were actually looking forward to them, LeBlanc and Jason Howard, Windows Insider Team’s senior program manager have both confirmed the end of the road for Windows 10 Mobile development. The news may be upsetting to some, but it was a long time coming. The decision to stop sending Insider Preview builds has been expected for at least a few months now. 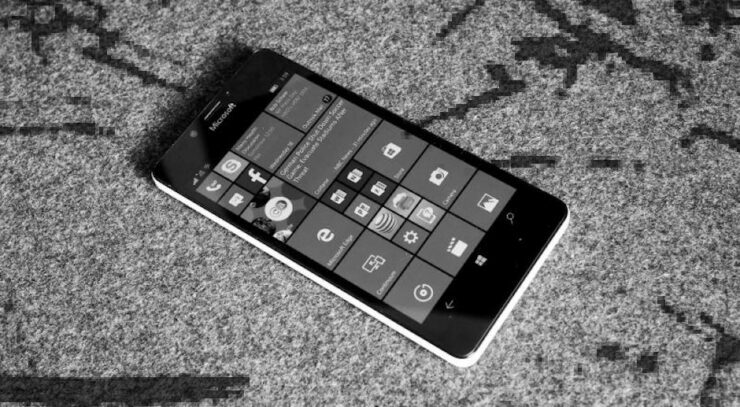 Microsoft publicly announced that the software giant was no longer focusing on Windows 10 Mobile – hardware or software. Since there is no platform, it would be a waste of time to continue delivering Preview builds. Folks at Windows Central reported that the Universal Windows apps will keep on receiving updates since many (of whatever is actually available on the Store) are still targeting Windows 10 Mobile. However, this is a lost ship as Microsoft doesn’t even give some blog space to make these announcements. Windows 10 Mobile is dead; prepare to see everything stop working – eventually. While Windows 10 Mobile has received a death sentence, there is still hope that Microsoft will start working on perhaps a new mobile platform very soon. The company has been making it to the news with several patents for a foldable mobile device. So far known as the Surface Phone, it remains unclear what operating system will power such a device.